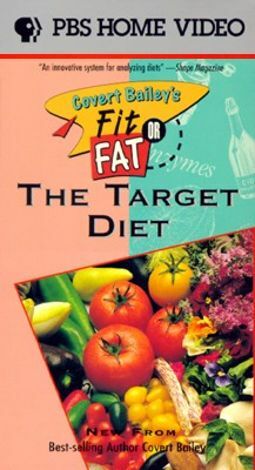 Target Diet is the last of four videos in Covert Bailey's Fit or Fat series, compiled from the PBS television program. Author of five best-selling books on nutrition and fitness, Covert Bailey here explains his food guide. Using his trademark enthusiasm and humor, Bailey unravels complex physiological principles affecting health and fitness in such a manner that they become understandable to the layman. The program features a segment called "Blasting the New Food Pyramid," referring to the government's nutritional guidelines, as published in the early '90s. Additionally, there's an unrehearsed question and answer session and a candid interview with Bailey. Other tapes in the series include Potbellies and Thunder Thighs, How to Get Fit Fast, and Muscle in on Your Metabolism.